2013 was a very good year for me. I started out not wanting to make a new years resolution out of fear of the disappointment that would always come from breaking it. I decided to make one after a few days, and I stayed with it, well, until July anyway. I said I wanted to lose weight and I did. By July I had lost 70lbs with an android app called Noom, but then the weight stopped dropping and I gained 10lbs back, but fluctuated throughout the rest of the year. I started out the year at 264lbs, went down to 194lbs and as of today I am 205lbs. I will make another resolution to get back on my diet so I can get down to the weight that I wanted to get down to. I know how to do it, I just need the willpower. On March 16th I had an accident while riding the bicycle home from the grocery store at night and I broke my arm. 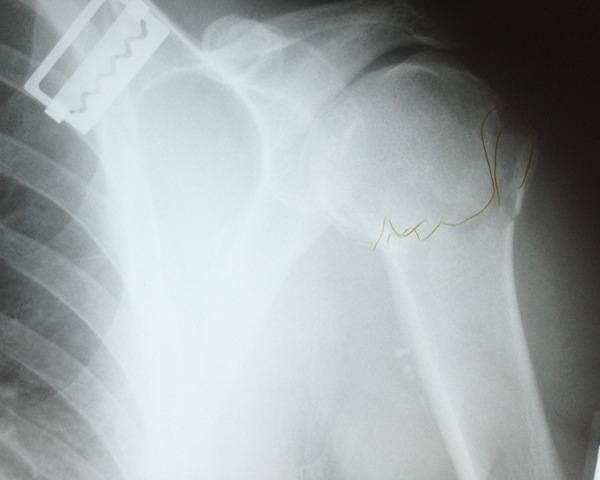 It was the ball of my left arm that fits into the shoulder socket. I didn’t have a cast, instead all I was given was a sling from the emergency room. By that time I had already lost 35lbs, and as you can already tell from the previous paragraph, the broken arm didn’t stop me from reaching my weight loss goal. While I was recovering from my broken arm, I decided that I wanted to start a new craft. Well, it wasn’t really a new craft, it was an old craft that I learned when I was 9 and in the Cub Scouts. I had some materials, so I wanted to use them up by making a couple of keychains. I had so much fun that I decided that I wanted to learn a more complicated pattern. I got so good at it and I was having so much fun that I ended up with about 40 keychains, so I opened up an Etsy shop. I started out with keychains, and I added dangle keychain style earrings, studs and hoops and I already have plans on making and selling dream catcher earrings. On June 26th, the Supreme Court of the United States ruled DOMA to be unconstitutional and Prop 8 was finally repealed. HURRAY! What a glorious day that was for the gay community in California. In fact, 18 (or 19) states made gay marriage legal in 2013 and legal on a federal level. The reason I said or 19 is because Wikipedia doesn’t include DC, but says eighteen states AND District of Columbia. Whatever. 18 or 19, it’s still a huge victory for us. Illinois is in that 18, but theirs isn’t legal until June 2014. In late July I started having pain in my parotid gland, which happens at least 2 or 3 times a year for I want to say the last 10 years, but I am not positive. It’s been going on for a very long time. The parotid gland is the saliva gland and for some reason the saliva doesn’t release into my mouth, instead something blocks the way and it swells up to the size of a golf ball or bigger. I try to milk it so the saliva goes into my mouth, and that does work, but it hurts really bad. The doctors usually give me an antibiotic and it clears up in a week, but this time it didn’t clear up. My doctor sent me to an ear, nose throat doctor and to have an ultrasound which showed that I had a stone inside of my parotid gland. The ENT doctor sent me to have a cat scan with contrast which showed that I had several stones in both of my parotid glands, but the ones on the right side were much bigger than the left. 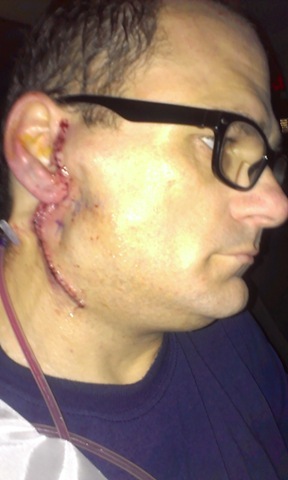 I had surgery on November 20th to remove my parotid gland. The area is still numb and I was told it will probably be numb for another couple or few months. YAY! My back has caused me tons of pain for so many years and this summer I finally found out what was causing it. Apparently I have scoliosis in my spine. I told my aunt about it and she told me that my great-grandmother was born with scoliosis and she lived her entire life with it. I remember she had a hump on her back, that was the scoliosis. My doctor sent me to physical therapy for a month and that halted the pain, but it didn’t correct anything. I have an appointment in January to start treatment up again, and it’s a good thing too because the pain is already starting to come back. My first treatment was a shock, no, seriously, they put these electrodes on my back and it shot electricity to my nerves to dull them. They had me do exercises for half an hour and then they would give me a deep tissue massage. The electrode was only applied to me on the first visit, all the other appointments were just me laying on the table doing exercises and then massages. The last couple appointments didn’t include a massage. We went to a thrift store in October and I found a bread machine for only $6. I can’t say I have ever had homemade bread before, like ever, so that was quite an experience. I did learn that I was doing it wrong for a very long time when I had such a horrible stomachache which felt like I had a 10lb brick sitting in my stomach. 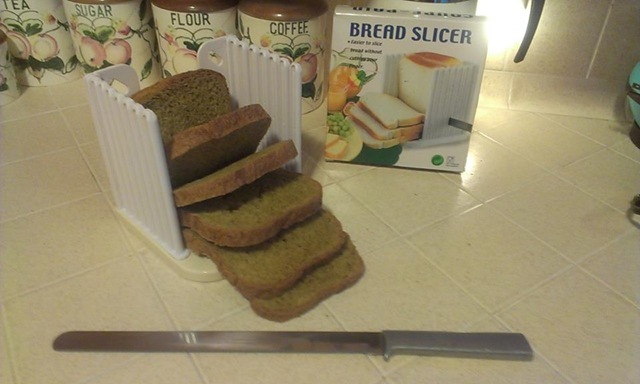 Apparently the bread was too dry. I read the instructions. It clearly stated that I was to use exact measurements, no more, no less, so I was only doing what I was told to do, but apparently rules are made to be broken. Now the bread is light and fluffy and it actually tastes better than store bought bread. My favorite bread to make is Spiced Pumpkin Bread with raisins. Have you ever had a ham sandwich or a peanut butter and strawberry jam sandwich with pumpkin bread with raisins? It’s quite awesome. Although I will have to cut back on the bread when I start my diet up again. We also helped feed a couple of neighbors for Thanksgiving and Christmas, which frankly is what the holidays are all about. It’s nice to receive presents, but it’s even nicer to do a good deed for someone. I guess those were our good deeds for the year. Of course we exchanged presents. I got a Nook HD+ 32GB tablet from my partner, and I gave him a Google Chromecast so he can watch Netflix and YouTube from his tablet, plus I got him Netflix. I don’t know what will happen in 2014, but I’m sure it will be as memorable as 2013. Merry Christmas and Happy New Year to you all!